How to find the meetings! 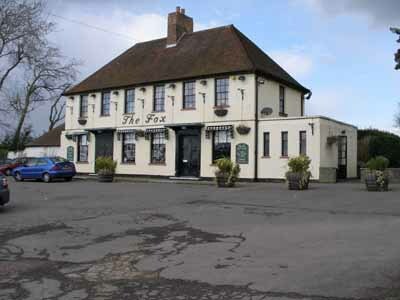 At the top of Hammerpot Hill, take the left turn signposted for The Fox, and local traffic. The pub is then immediately in front of you. If you miss the turning take the next exit on the left A280, then immediately left at the roundabout. Follow the road for about 3/4 mile, past the first pub on the right, and go up the hill to the Fox, which is on the right. Take the exit just before the flyover, labelled for Rustington/Littlehampton/Clapham/Patching A280. Take a right at the first roundabout heading North and over the dual carriageway, then a left at the next roundabout for Patching. Follow the road for about 3/4 mile, past the first pub on the right, and go up the hill to the Fox, which is on the right. Head down the A24 until you come to the Findon Valley roundabout (after the nasty bends and the 50mph limit), and take a right for the A280 Littlehampton/Arundel. Proceed for about 3 miles until you come to a roundabout, then take the 3rd exit for Patching. Follow the road for about 3/4 mile, past the first pub on the right, and go up the hill to the Fox, which is on the right. Also please check out www.sussexsafetycameras.gov.uk to see where the mobile speed checks and the fixed cameras are, for your safety!